In an industry farewell of sorts, Matt Booth, owner of the Room101 series of cigar brands, told Cigar Aficionado that he's leaving the cigar business, severing ties with Davidoff of Geneva, the Swiss cigar corporation that distributed his cigar lines for nearly eight years. Now, the brands are in his hands and he's not quite sure what's going to happen next. 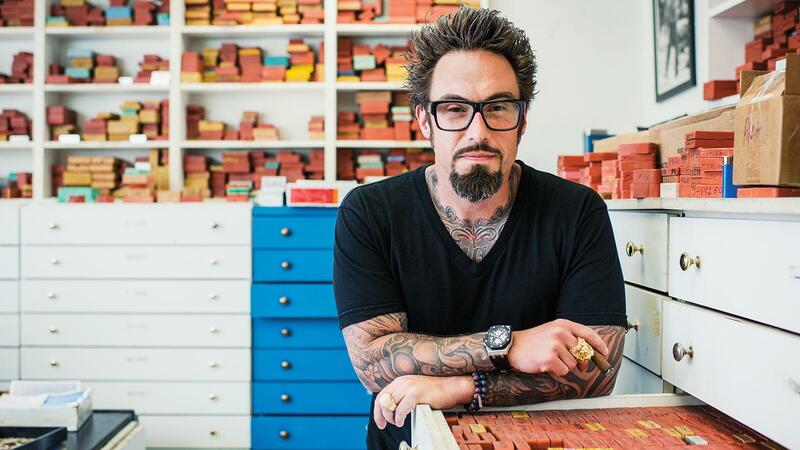 One thing Booth is sure of is that he's taking a hiatus from the cigar industry to focus more on his jewelry business (also called Room101). As of now, he says he doesn't know if—or when—he'll return to the world of cigars. "I decided not to renew," Booth told Cigar Aficionado during a phone interview. "The contract ended, and I think that it's time for a new beginning for Room101. I am grateful for the years of partnership and support from Davidoff." Davidoff's vice president of marketing, Dylan Austin, confirmed Booth's departure. "We share Matt's sentiment that this has been a very successful partnership and would only add that we are very sorry to see him depart the industry," he said. Davidoff had been affiliated with Room101 cigars since 2009 via a manufacturing and distribution agreement. The contract expired on January 1 and Booth did not renew. Although the distribution agreement has ended, Davidoff is still sitting on some Room101 inventory, which is currently in the company's Florida warehouse in Pinellas Park. According to Booth, Davidoff will continue to sell the remaining stock of existing Room101 brands, which includes cigar lines like Chief Cool Arrow, Room101 The Big Payback and Room101 Namakubi. "We've come to an agreement that will help both of us and not damage the brand in the process," Booth said of the existing stock. Booth is doubtful that he'll ever produce those particular brands again in the future, but he told Cigar Aficionado that the brands belong to him, and always have, reaffirming that his agreement with Davidoff was for distribution and manufacturing, not ownership. Where, how or if the Room101 brand will resurface is unknown. As of today, Booth does not have a new distribution partner or a manufacturer for his brands, nor is he actively seeking one. When asked if there's any possibility of Room101 cigars ever coming back in the future, Booth's answer was noncommittal. "It's all hypothetical," he said. "Room101 was made in Honduras, but it could conceivably be made anywhere, as long as the factory makes a high-quality product. If that were ever to happen there would have to be a relationship. For now, I am going to concentrate on the jewelry and accessories side of the business. It's a business that's growing rapidly for me and not over-regulated by the government." Booth said he was considering a possible "farewell tour" of appearances in cigar shops, but nothing has been solidified. The Los Angeles jeweler-turned-cigarmaker first made his name in the cigar industry by packaging his Honduran cigars in whimsical, unorthodox boxes designed with Japanese-inspired motifs that complemented his fashion-forward, cutting-edge jewelry. He contracted Camacho Cigars to produce the inaugural batch of Room101 smokes. When Davidoff of Geneva acquired Camacho cigars, it picked up distribution of the Room101 cigar brand in the process.